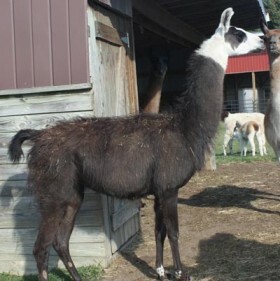 We have a very modest but carefully growing herd of classic llamas. Our breeding program brings together some of the best Classic/Ccara bloodlines available in the U.S. and mixes them with some longstanding North American pedigrees. We are breeding for a well-conformed, athletic animal first, followed by (in no particular order) coat type, disposition, longevity, fertility, and mothering ability. 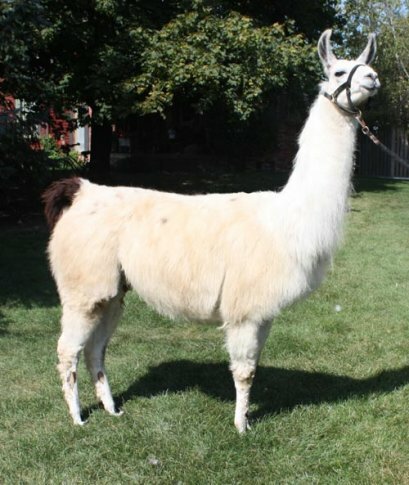 We have a preference for the taller end of the Classic / Ccara spectrum, but do not use this as a primary selective criteria for our breeding program. 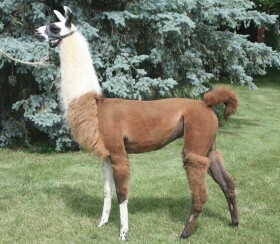 A long, tall (47″), correct and very athletic female acquired from Al Ellis’ Highline Trails herd in 2012. Dam to Pino Gris (by Woodsend Super Stretch) and Walter P. (by HI TRL Sully). A super mom, very milky, and an easy breeder. In short, the ideal classic female. This awesome, uber-classic female has to be one of the tallest in the U. S. – an honest 50″ at the withers. Thank goodness she cooperates when being haltered. Super-typey classic head and coat. Correct on feet and legs with good bone. Dam to Sondy (below) and Alberta Crunch . Currently open; we plan to breed her to Pino Gris for a fall, 2017 cria. An excellent example of classic genetics. 46″ at the withers, with outstanding bone, a solid topline, correct structure and lots of athleticism. Her reverse “Lone Ranger” mask makes her a standout in the pasture. 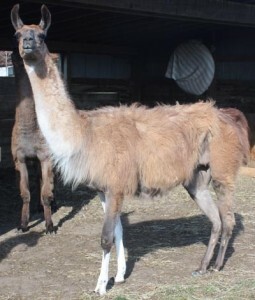 Bred to Pino Gris for a fall, 2016 cria.